10:18 AM: A one-alarm fire a residential hotel in San Francisco’s South of Market neighborhood this morning displaced at least one resident, a firefighter said. Firefighters responded to reports of smoke at 135 Sixth St. at about 6:50 a.m., firefighter Al Posey said. Crews had the fire controlled by about 7:25 a.m., but the blaze caused some damage to the four-story building. The American Red Cross was called to assist any residents who needed help, Posey said. No injuries were reported, and a damage estimate was not immediately available. 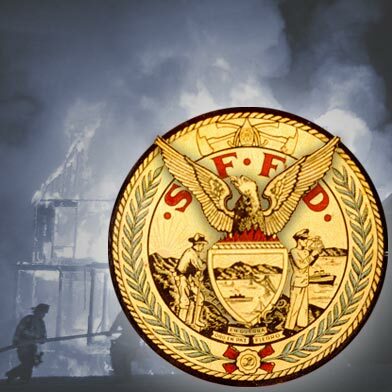 8:08 AM: San Francisco firefighters are at the scene of a one-alarm fire at a residential hotel near Sixth and Minna streets this morning, a fire dispatcher said. The fire was reported at 6:49 a.m. at 135 Sixth St.
As of about 7:15 a.m., the fire was contained but not yet controlled. According to KTVU broadcast, traffic in the area is disrupted by the efforts to manage the blaze, so drivers are urged to avoid the area.